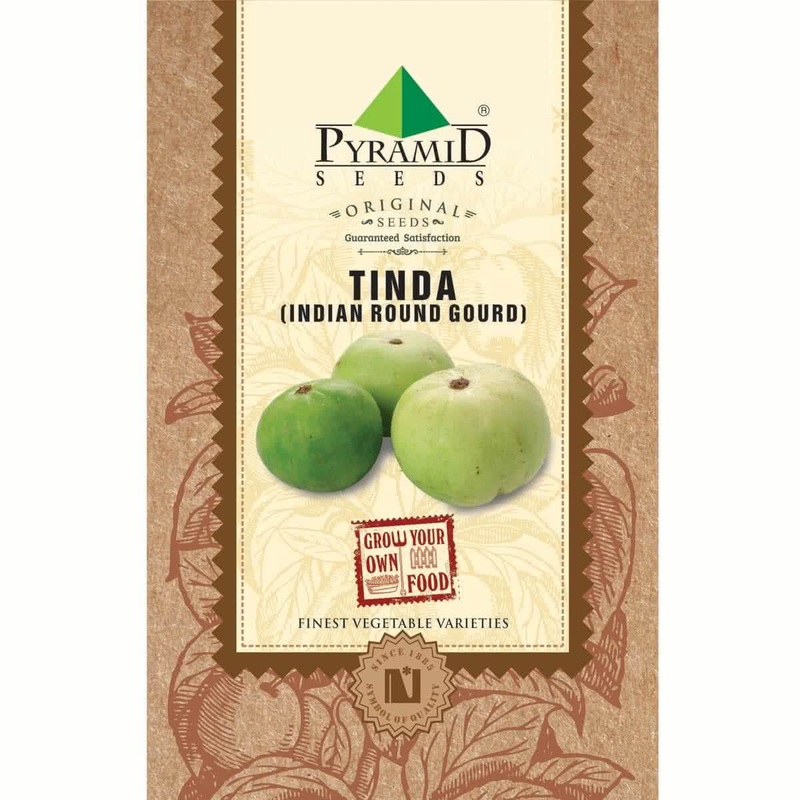 Tinda squash melon gourd requires long, warm growing season with fertile and well-drained soil for better growth and flavor in recipes. Introduction and Uses: Indian Round Gourd is also known as Indian Squash, Round Melon or Apple Gourd. It belongs to the cucurbit family. With approximately 94% of the water content and very few calories, it is known for soothing the digestive system. This water-rich vegetable also contains antioxidants like carotenoids and anti-inflammatory agents, which effectively control blood pressure, heart diseases and cardiac strokes. It might also prevent cancer formation. Sowing method: Seeds are sown directly on raised beds or in containers. Sowing container: Use big circular pots or grow bag with 16” diameter and minimum depth of 8-10 inches. Sunlight: Indian Round Gourd plants require full sunlight. Therefore your raised bed should be made at a bright sunny spot. Keep the Indian Round Gourd container under open sunlight. Watering: Water your potted Indian Round Gourd plant every day in summer. Water the soil near the plant. Use a watering can to make sure that the plants get water in the form of the shower & not by a single flow. You can also make provision for watering by drip irrigation system for your raised beds. Trellis: Indian Round gourd is an aggressive climber & needs plenty of space to grow. So develop a strong trellis support up to height of 5-6 ft, by using locally available material like pipes, bamboo, ropes, wires etc. for your Indian Round gourd plant. Read about trellis support ideas. Top Dressing: When your Indian Round gourd climber is more than 45 days old, provide one tablespoon of 15:15:15 (NPK) Fertilizer per plant or mix handful of Vermicompost in the soil around each plant. Hand pollination of flowers: Take ‘pollens’ from male flowers on painting brush or cotton bud & dust them on ‘stigma’ of female flowers. This will increase overall production of Indian Round Gourd. This step is not mandatory. Note: Indian Round Gourds have separate Male & female flowers on same plant. Fruits will be formed on female flower after pollination. Harvesting: (80 to 90 days from sowing.) Indian Round gourd climber will start flowering at the end of 3rd month. 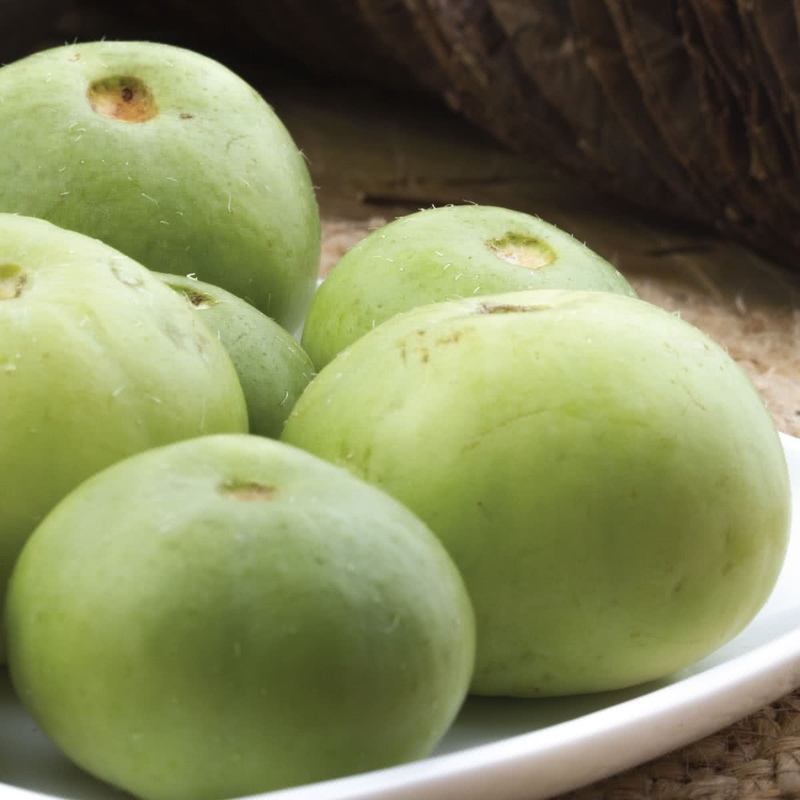 You can start harvesting ripe Indian Round gourd fruits after 3 months of seed sowing. Harvesting season can continue for next 3 months.